The upcoming five match ODI series between Bangladesh and Zimbabwe is shaping up to be a beauty. There has always been something special about the rivalry between Bangladesh and Zimbabwe. It may not be on the scale of the Ashes, but when Bangladesh and Zimbabwe clash, both teams give it their all. Thanks to Shahriar Nafees, Bangladesh fans have been treated to some very impressive wins. Between 2006 and 2007 Nafees featured in 15 ODIs against Zimbabwe, scoring 749 runs at an average of 62.41. He may be a true example of a minnow-basher: his 15 innings innings have resulted in 3 centuries. Each of his centuries has resulted in a massive win for Bangladesh - 8 wickets in August 2006, 101 runs in October 2006 and 9 wickets in November 2006. Thankfully for Zimbabwe, Nafees won't be featuring in this series. But one player that will be playing is vice captain Shakib al Hasan. He has also played 15 ODIs against the Zimbabweans at an average of 38.18. He will go into the the series as the most prolific batsman from either side; besides Nafees, only Stuart Carlisle and the Flower brothers average more runs per innings in Bangladesh vs Zimbabwe clashes. It might not be Shakib's batting that the Zimbabweans are most fearful of. However, his left arm spin will require special attention from the Zimbabwean batsmen on the Queens Sports Club wicket which is known as being spinner friendly. Against Zimbabwe, Shakib's spin has brought him 23 wickets at just over 19 apiece. Unless the batsmen get on top of him early, he will be likely to tie up an end during the middle overs. By far the biggest threat for the Zimbabweans would have been the newly appointed captain Mashrafe Mortaza. He is highly experienced, having played 25 ODIs against Zimbabwe since 2001. His consistency has been remarkable: he has conceded less than 4 runs an over, averaged less than 20 with the ball and more astonishing is that he has more than double the number of wickets (43 in total) in Bangladesh vs Zimbabwe clashes than any other bowler. The next closest is the retired Mohammed Rafique with 26 wickets at 36.23, and the closest Zimbabwean is the retired medium pacer Gary Brent with 22 wickets at 18.72. However, the Zimbabweans have received a let off with the news that Mashrafe will not be featuring having sustained a knee injury in the West Indies. Left arm spinner Abdur Razzak, who is also missing out due to a hamstring injury, will be replaced in the squad by another left arm spinner Enamul Haque jnr. Shahadat Hossain is another bowler that could have threatened Zimbabwe. He took a hattrick in Harare in 2006 - it was not enough to win the match for Bangladesh - but no doubt that performance will be in the back of the minds of the Zimbabwean batsmen. He has recently been overlooked by the Bangladesh selectors for the ODIs and will play no part in the upcoming series. Mohammed Ashraful can not be overlooked at the top of the order despite his poor record against Zimbabwe. He has scored just 435 runs at 18.91 - with a highest score of 51* from 25 innings. But the Zimbabweans cannot be complacent against Ashraful, as he showed the Australians in 2005, he can single handedly take a game away from you. Of the Zimbabwean batsmen, Elton Chigumbura has scored the most ODI runs against Bangladesh - 577 at a healthy average of 30.36. Usually batting at number seven, the Zimbabweans will be hoping this time it is not left to him to score the bulk of the runs. Mark Vermeulen will be the danger man as far as Bangladesh is concerned. He will be, in all likelihood, opening the batting and the Bangladeshi bowlers have no experience bowling to him. In Mark Vermeulen's only appearance against Bangladesh, in March 2004, the only member of the Bangladesh team that remains is Mohammed Ashraful. 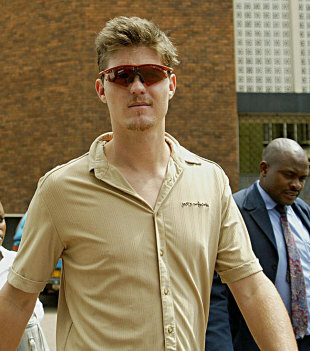 Vermeulen has not played international cricket for 5 years, and was facing 25 years in prison after he burnt down the Zimbabwe Cricket Academy and attempted to burn down the Harare Sports Club boardrooms in late 2006. His psychiatric conditions were believed to be due to several blows to the head which he experienced playing for Zimbabwe. He has recovered now, and after Zimbabwe Cricket gave him a second chance he will no doubt be looking to perform well in this series. Bangladeshi fans will be pleased to know that Brendan Taylor is no certainty to play in this series. He hit a last ball six off Mashrafe Mortaza in 2006 - the same match that Shahadat Hossain took a hattrick - to guide Zimbabwe to victory, and has built his reputation further by scoring 60* against Australia to ensure Zimbabwe pulled off one of crickets greatest upsets at the 2007 ICC World Twenty20. Taylor averages just under 30 against Bangladesh including 3 half centuries. He will be returning to Zimbabwe ahead of the series, but whether he is selected after a year-and-a-half out of the national team still remains to be seen. Malcolm Waller and Tatenda Taibu look set to miss the series after having missed out on a place in the preliminary 19 man squad. Sean Williams is one man who won't miss out, he's a classy batsman who Bangladesh will need to respect - he was Zimbabwe's top run scorer on the recent tour to Bangladesh and is one of the few Zimbabwean batsmen (Malcolm Waller is the other) to have a First Class average over 40. Zimbabwe's bowling was their main strength against Bangladesh earlier this year, with Ray Price and Prosper Utseya choking the Bangladeshi batsmen for runs. Both players have remarkable economy rates against Bangladesh (3.13 for Price, 3.45 for Utseya) but the left-arm orthodox bowler Price has shown a greater wicket taking ability with 12 wickets at 17.33. A bowler which the Bangladeshi's have not faced in recent years is the legspinner Graeme Cremer. Cremer played 2 Test matches against Bangladesh in 2004-05, taking 6 wickets at 29.83 at an economy rate of 2.83. He has only broken into the ODI team recently, but in his first series he was the man of the series against Kenya. At Queens Sports Club, the Zimbabwean selectors might choose to stick with the three man spin attack. Bangladesh struggled against the left-arm spin of Price, and Cremer will extract more spin than Price - so he could play a key part in the series. In the fast bowling department, Bangladesh will have the edge. Zimbabwe don't have a seam attack as speedy as Bangladesh's, however, Ed Rainsford was impressive earlier this year with the new ball. Tawanda Mupariwa, assisted by familiar conditions (his home ground in domestic cricket is Queens Sports Club), could be a threat if Zimbabwe choose to go with a stronger pace attack. He is the only Zimbabwean bowler to average under 30 (52 wickets at 25.94) in international cricket. The first ODI is schedued for August 9, but the Bangladeshi's will get a warm up match on August 7 at the nearby Bulawayo Athletic Club. Zimbabwe have been starved of international cricket for six months, but have come off a long domestic season and lengthy training camp. Bangladesh on the other hand will be in high spirits after a Test and ODI series whitewash - their first - against the West Indies. It stands to be a thrilling series. On paper, Bangladesh should enter as favourites but as shown by the Zimbabweans in January, when their clashes were drawn 2-2, nothing can be taken for granted. About the author(s): J. Battye has been a member of the phpBB Teams since February 2006, spending time on both the MOD Team and the Support Team. His own web site, CricketMX.com, has been running since January 2004. The author has been a keen participant of BanglaCricket forums for many years and goes by the nick Battye. This page has been viewed 6793 times.